What a gorgeous few days we’ve had! Yesterday was sunny and around 50 degrees here in the White Mountains. Today is just as beautiful – wow! My guests cross country skied yesterday at Great Glen Trails at the base of Mt. Washington in Pinkham Notch. Today they’ve headed over to Bear Notch Skiing in Bartlett. Me – I went out to snowshoe. 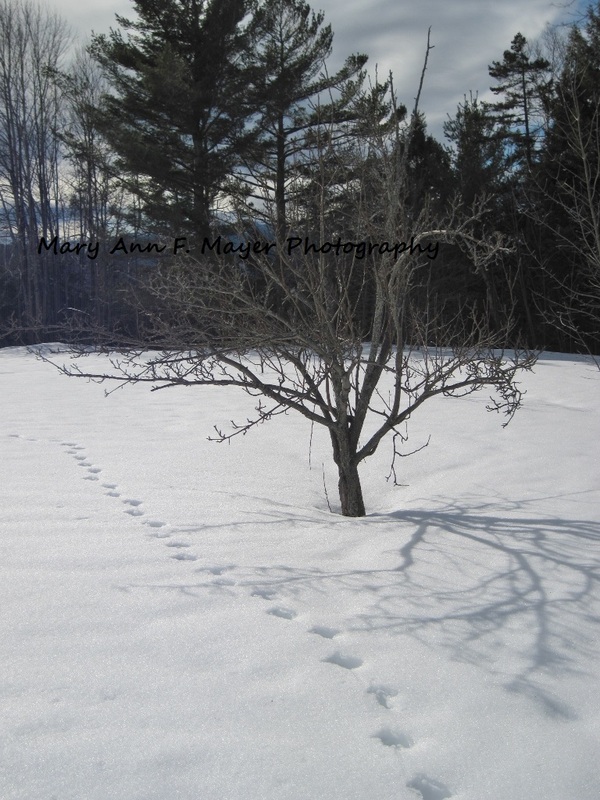 I like to snowshoe on my property and check out who has left prints in the snow. I’ve seen fox prints, coyote prints, turkey trails, bobcat trails, and lots of trails by the smaller critters in the area. The bobcat trails are the most fascinating to me – I have never seen a bobcat on my property but see plenty of evidence that they are here. I would love to see one and snap a photo but they are shy and elusive cats. I started out dressed warmly with a polartec jacket, windbreaker, and gloves. Ditched the windbreaker and gloves in a very short time. It is just gorgeous out here! Today I saw turkey, and a cat and possible fox tracks. No bobcat tracks. The sky is bright blue and there are some clouds but not many. I snowshoed around the Western side of the property and into the wood, then came back into the house for water and lighter clothing. Then back out I went and walked along the Eastern side of the property. The turkey tracks were all over the property and what I believe are kitty tracks. This entry was posted in Life of an Innkeeper and tagged Mt. Washington Bed & Breakfast, Mt. 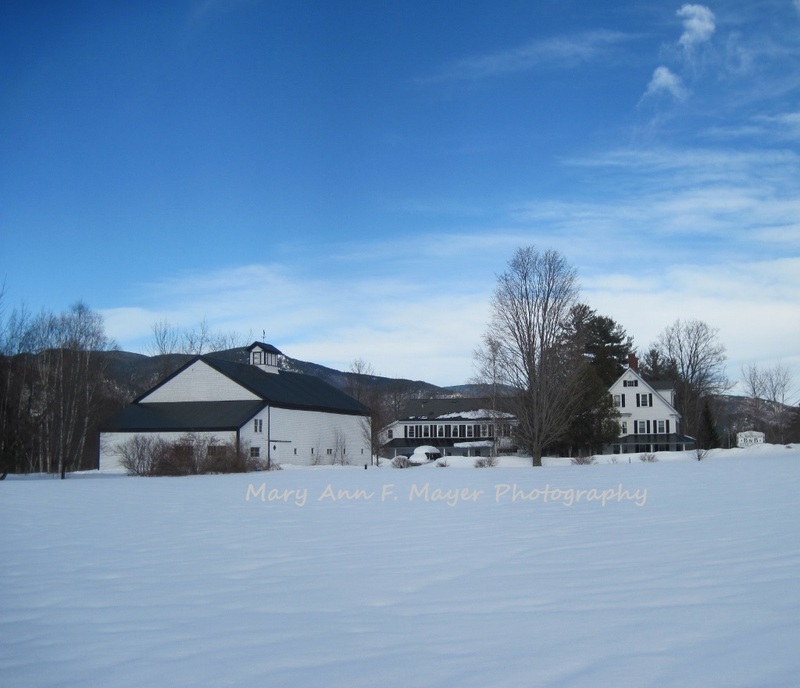 Washington Valley, Snowshoeing, Travel, vacation, White Mountains, winter activities, Winter Vacation. Bookmark the permalink.